The Trail Smoke Eaters head back out on the road and close out a busy week of play with a trip to the North Okanagan for a matchup against the Vernon Vipers on Saturday night at Kal Tire Place. The Smoke Eaters and Vipers meet for the fourth time this season, and the final time at Kal Tire Place in their regular season series that has seen Trail pick up two wins in the three games thus far, including a 3-2 victory early this month on home ice. Carter Jones opened the scoring while Hayden Rowan and Kent Johnson scored 3rd period goals to help the Smoke Eaters to the victory. Adam Marcoux turned aside 24 of the 26 shots he faced in the contest for the win in between the pipes. 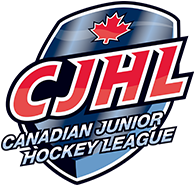 Trail enters play on Saturday night with an 11-12-4-2 record after a 2-1 overtime victory against the Merritt Centennials on Friday night at the Trail Memorial Centre. Carter Jones scored on the power play in the opening period before Bryce Anderson capped off the game with the overtime winner that gave the Smoke Eaters their third straight home victory. Adam Marcoux was outstanding in the game, making 33 saves on 34 shots for his 9th win of the season. The Smoke Eaters newest addition to the lineup in Chase Stevenson has found a place right at home in Trail, collecting points in each of his first three games as a member of the Smoke Eaters. The West Kelowna, BC native has registered a goal and two assists for three points in those three games and, dating back to his days with the Surrey Eagles, has points in four of his last five contests. Adam Marcoux has continued his stellar play as it showed last night, making 33 saves on 34 shots in his 9th win of the season. The 20-year-old netminder has won three of his last five starts and has posted a 2.52 GAA and a .917 SV% in those five games, facing over 30 shots in each of his last three contests. The power play has been an offensive weapon for Trail all season long and it continues to roll heading into the game tonight. The Smoke Eaters have scored in each of the last three games on the man advantage and sits 3rd in the BCHL at 21.9%, including striking in each of their victories over the Vipers this season. The Vernon Vipers come into play on Saturday night with a 9-9-6-3 record and sit in 7th place in the Interior Division after a 2-0 shutout loss to the Salmon Arm Silverbacks on Friday night at Kal Tire Place. Aiden Porter turned aside 24 of the 26 shots he faced in the game in his 12th loss of the season while the Vipers were shutout for the second time this season. A new acquisition is finding a spot right at home on the Vipers side as well as forward Matt Kowalski has adapted well to his new surroundings, picking up a point in three of his first four games as a Viper. 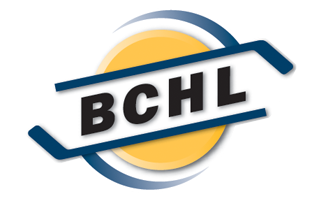 The Vernon, BC native has scored twice while adding three assists for five points in those three games, including a goal and an assist against the Smoke Eaters last Wednesday in his debut with his new club. The month of November hasn’t been a kind one to the Vipers, having dropped seven of their nine games in the month thus far. A bit of a deceiving stat to that is that five of those games have been decided by just one goal and two of those matchups have been overtime affairs as the Vipers have played in 14 one-goal games this season, tied with Powell River for the most in the league. The Smoke Eaters and Vipers will drop the puck at 6:00 PM from Kal Tire Place in Vernon with the pre-game show coming at 5:50 PM on mixlr.com/trail-smoke-eaters as well as HockeyTV.com with the Voice of the Smoke Eaters, Trevor Miller.